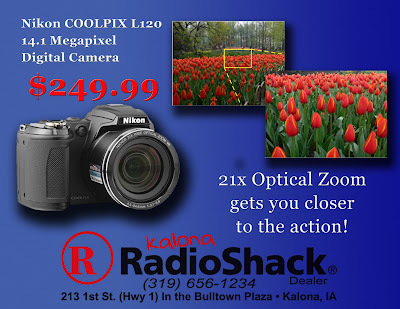 Keep your summer memories fresh with this fantastic digital camera from Kalona RadioShack. Be sure to check out our new Kodak Picture Kiosk, Printing your digital photos has never been easier! Load up your memory card, USB drive, or print directly from your Facebook, or online album!